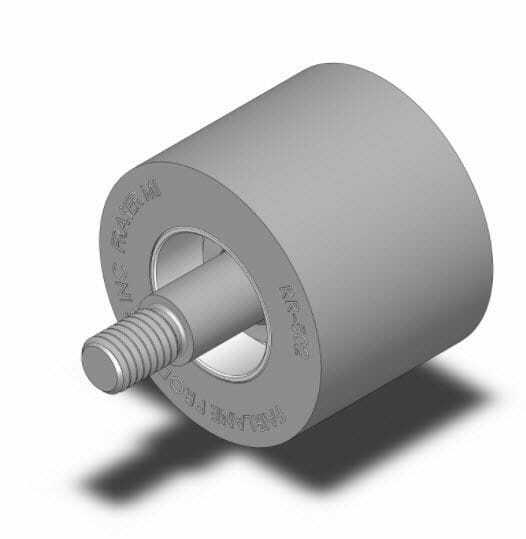 SOLID STUD MOUNT ROLLERS - ONE DIRECTIONAL CLUTCH BEARING - 2.50 IN DIAMETER - 1.94 IN WIDTH - INCHSolid rollers have a smooth surface and are permanently bonded to a steel insert with the bearing pack pressed in place. 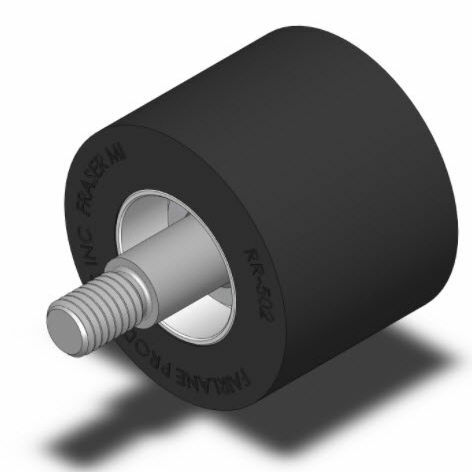 The clutch bearings allow the roller to only turn in one direction. 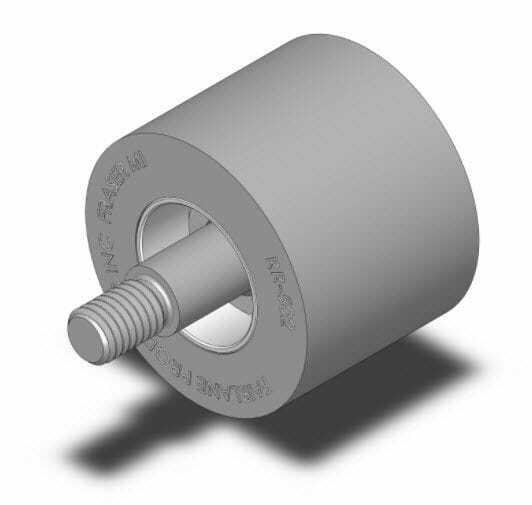 They come assembled with a threaded stripper bolt and snap ring for fast easy mounting. 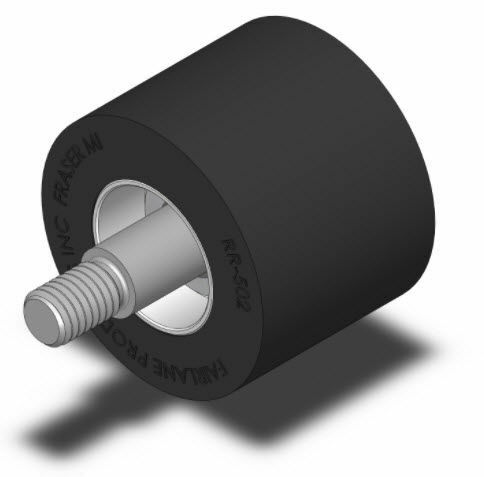 Rollers are available in neoprene, nitrile and urethane materials with hardness ranging from 20 to 95 durometer. Available in either right or left hand rotation. With the stud pointed upward, right hand rotation turns clockwise and left hand rotation turns counter-clockwise. Supplied with type I bearings.